Jonathan Franzen (b.1959) – an American novelist and essayist. He was born in Illinois and grew up in St. Louis, Missouri. He studied German philology, among others, in Munich and Berlin, finishing his studies in 1981. He debuted with the novel The Twenty-Seventh City in 1988.His second novel Strong Motion was released four years later; both books met with friendly, yet modest reception of critics and readers. It was the next book – The Corrections (2001) – that brought him fame and recognition, which was only confirmed and reinforced after the publication of Freedom in 2010. The extraordinary status gained by Franzen in the USA is well reflected by the fact that he was shown on the cover of the Time magazine, which presented him as a ‘great American novelist’. He has also published two volumes of essays:How to Be Alone (2002) and Farther Away (2012). In 2006, his memoir book The Discomfort Zone was released. In his novels, Franzen always adopts a very narrow, almost intimate perspective, presenting the fates of members of one family and giving a detailed account of relationships within it. Even though the author distances himself from such ambitions, he is regarded as one of the most perceptive observers of modern America and social changes. 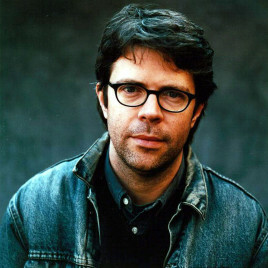 In his essays, Franzen often writes about the poor condition of the American novel, which he attributes, among others, to the fixation of both male and female writers on issues of ethnic or sexual identity. His new novel Purity will have its Polish premiere at Conrad Festival.